Drawing of Dirk – Paladin or Samurai? 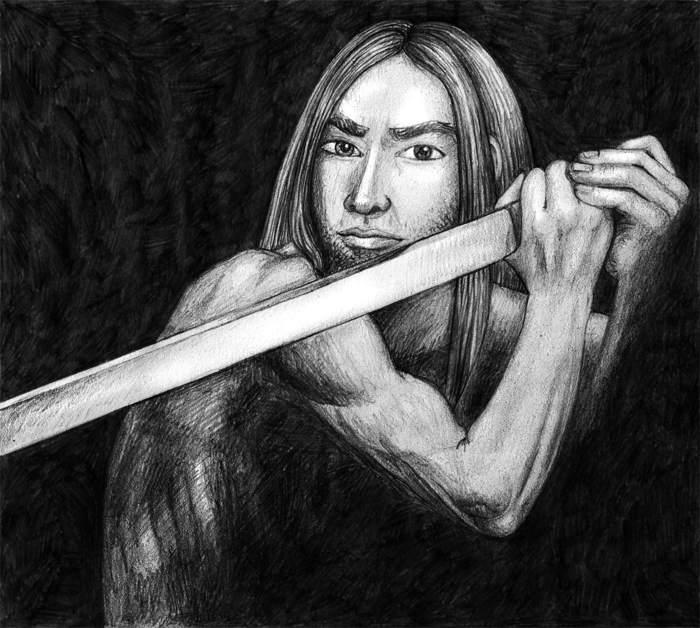 A realistic-stlye drawing of Epic Fail’s Dirk posing with a sword. In the version of Dungeons & Dragons I play we use a deities system where Clerics and Paladins can choose to serve a specific God. Dirk serves Amaterasu, the Japanese Goddess of the sun, and I therefore consider him to really be a Samurai. I used this picture as a vote incentive for Comic Hovel for a while, there’s a new one now.